During August 1941, Lt. 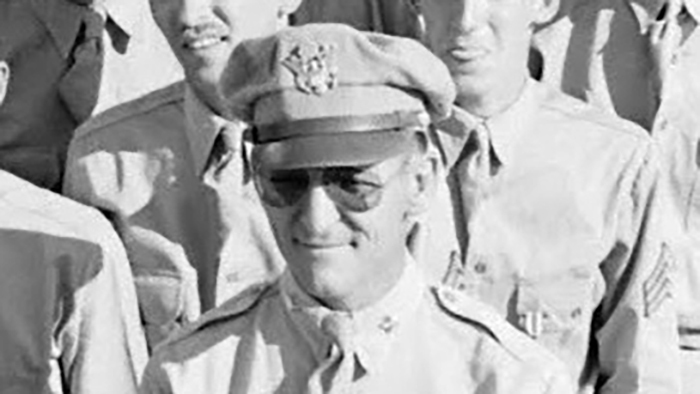 Colonel Kenneth N. Walker was one of four authors of Air War Plans Division -1 (AWPD-1), written in nine days. All four individuals later became General Officers and served during World War II. Kenneth N. Walker was awarded the Legion of Merit in recognition of his contributions as a staff officer at Operations Division (OPD) of the War Department General Staff. Byrd, Martha. Kenneth N. Walker: Airpower’s Untempered Crusader. Air University Press, 1997. [PDF 2.7 MB].